After eight years, a family tradition concludes where it started: Chick-fil-A. To hear Madeline Benfield tell it, the dinners started simply enough. Inspired by Chick-fil-A’s “Daddy Daughter Date Nights,” her stepfather, Mart Martin, suggested a meal together at a nearby Chick-fil-A. As a precocious 10-year-old, she wasn’t going to pass up on the chance to enjoy one of her favorite places to eat. What began as one dinner soon turned into a monthly ritual for Mart and Madeline, as well as an opportunity to invest in one-on-one time with each other. Throughout the course of eight years, they never missed a monthly meal. 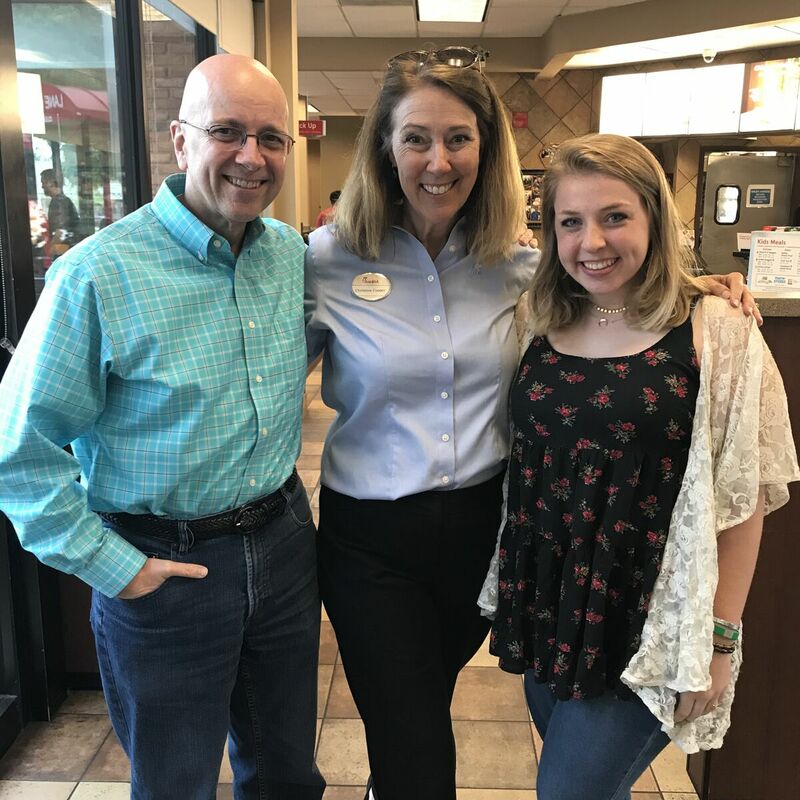 With Madeline preparing to head off to college at the end of this summer, the two just celebrated their 100th “Step-Daddy/Step-Daughter Dinner” on May 10 at the Perimeter Pointe Chick-fil-A, where that first meal was shared. At the time of the first dinner, Mart had been married to Madeline’s mother, LeAnne, for about five years. However, they both acknowledged there was rarely a chance for the two of them – stepdad and stepdaughter – to get away and spend some time together. And while those early years were dominated by trips to the playground, as Madeline grew older and their relationship grew deeper, the dinners evolved. To celebrate the 100th dinner, the restaurant helped Mart and Madeline make it a meal to remember. 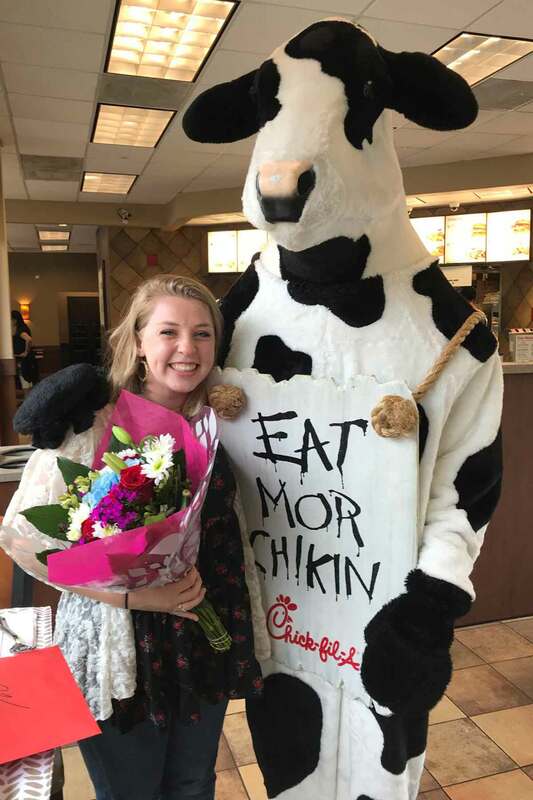 They were greeted by Alex Rodriguez, the local Operator, and Christine Cooper, the restaurant’s marketing director, as well as the Chick-fil-A Cow and a reserved table with flowers. Even though she is headed to the Parsons School of Art and Design in New York City in a few months, Madeline said she hopes the two can find a way to keep the monthly dinners going. Despite the distance, they’ve talked about having a meal over Skype or FaceTime so they can keep this meaningful family tradition alive.